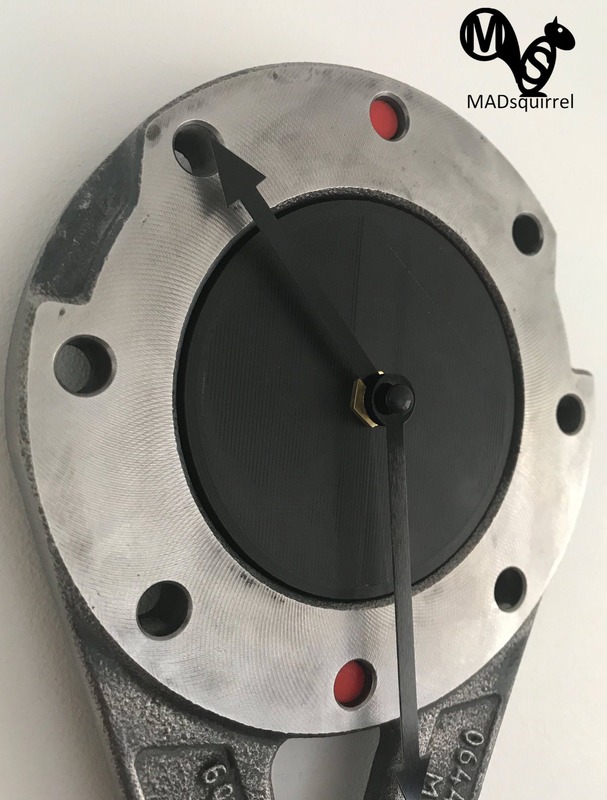 An Industrial Style & Steampunk Inspired Clock, made from a gearbox mounting plate with a black centre face and black hands. 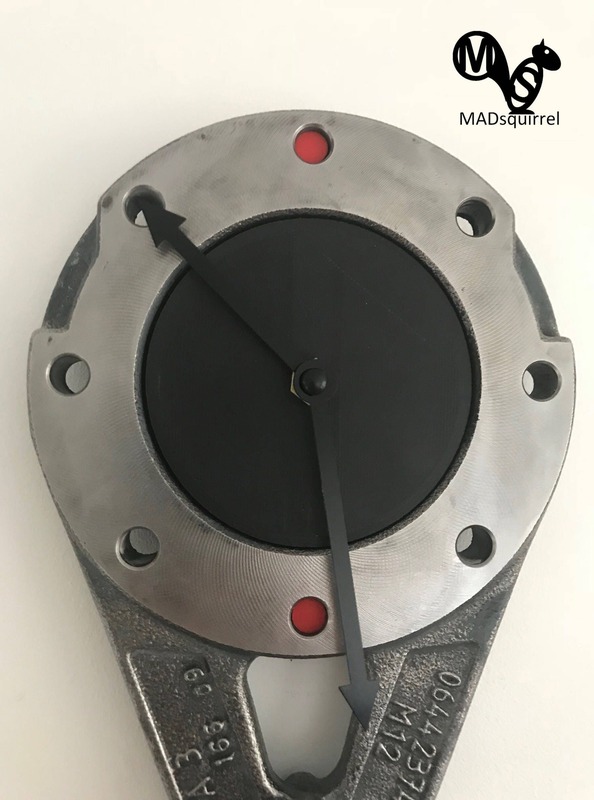 This beautiful clock really has a great industrial look to it, the majority of the gearbox mounting plate has been taken back to bear metal and polished, there are small areas of the old paint left on to enhance the look. 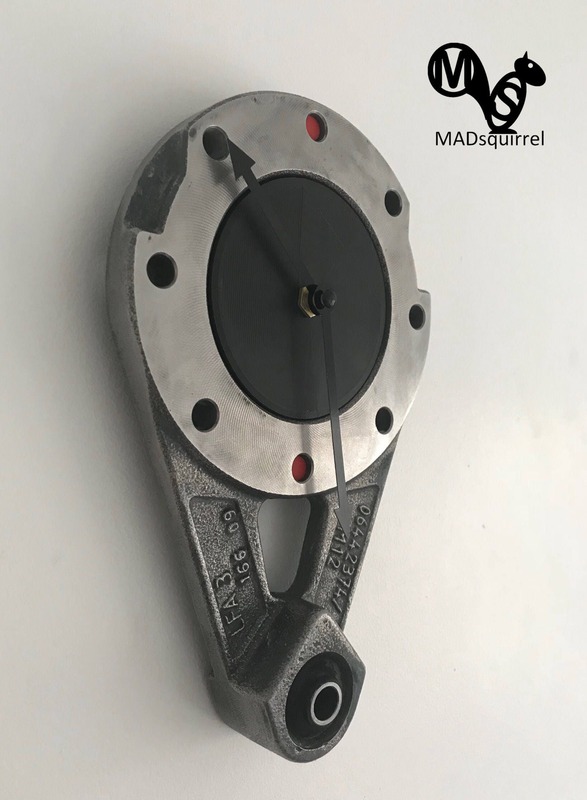 The plate is cast metal and has a fair weight to it, see below for details. 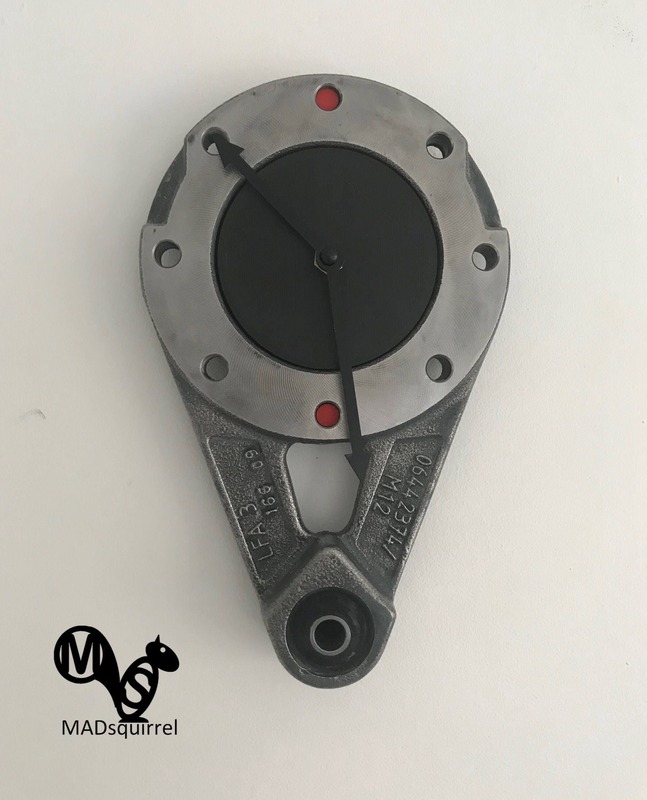 The clock mechanism is mounted in the centre allowing the clock to mount flush to the wall, with a black centre face covering the mechanism with black hands. 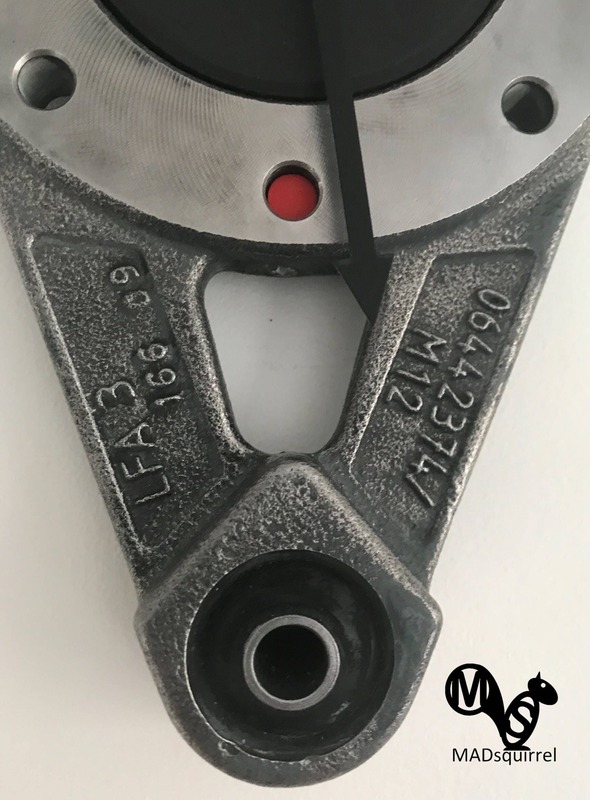 To add a small splash of colour there are red plugs that fill the top and bottom holes on the mounting face which align with 12 and 6 O’clock. The inspiration has been taken from the Steampunk style and hangs from a cable on the rear. The clock is posted without an AA battery as this can cause problems with Royal Mail.